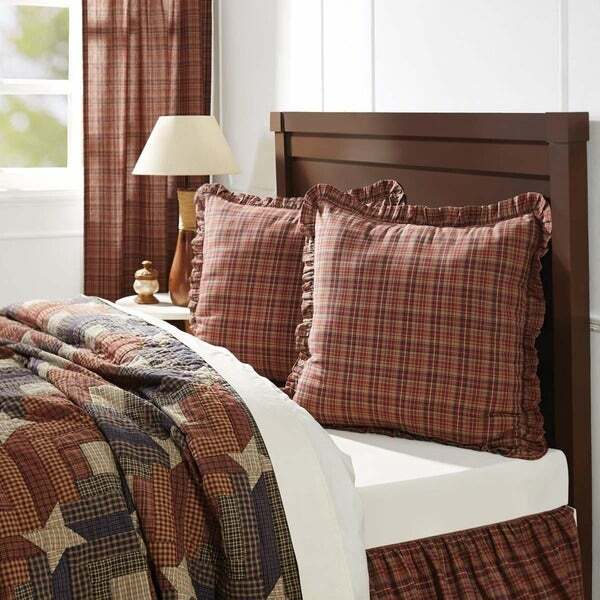 Great Euro size sham that looks perfect with the other Parker bedding items. Snug fit on the pillow, secure buttons on the back. Exactly what I wanted! Add cabin charm and rustic flavor to your decor with the Parker Euro. Featuring an all over plaid with shades of warm burgundy, natural, and deep navy in 100-percent cotton fabric. Ruffle trimmed and reversing to three chocolate brown coconut button closures. Great quality! I loved the buttons on the back. It was a nice surprise and now we show the button side with our pillow collection.